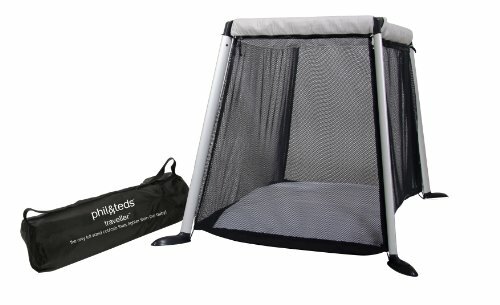 Home / Toddler Travel Bed • Travel Crib / Should you Buy a Travel Crib or a Toddler Travel Bed? If your child is two years old or nearly two years old, then choosing between a travel crib or toddler travel bed can be difficult. My general recommendation would be that if your child is still in a crib at home, then buy a travel crib. If they are used to sleeping in a toddler bed or a single bed, then buy a toddler travel bed. If they are big for their age and still need a travel crib, then one of the roomier ones, such as the KidCo Peapod or the Lotus Travel Crib could be the best choice. The best option for this age group is a toddler travel bed. These will generally suit your child until they are around six years of age and are very versatile and easy to travel with. In the case of the Leachco BumpZZZ, it can also be folded over to make a cushioned seat for your child. If your child is in this age group, but is not ready to be in a travel bed and needs to be contained, the KidCo Peapod could be a good choice. It is suitable from 1 to 5 years old, and is like a small tent which is fully enclosed. It is also very portable. In summary, the best thing to do is to do what you do at home – if your child needs a crib at home, then buy a travel crib. 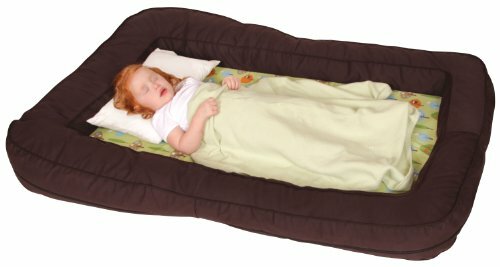 If your child sleeps in a regular bed or a toddler bed, then buy a toddler travel bed. Check out our buying guide here.